Living... in New York City, frequently found at the cocktail parties of the rich and famous. Truman's always enjoyed being at the center of things, so Manhattan is his element. Visiting... Kansas. Drawn by the gruesome murder of the Clutter family, he plans to write a novel based on the case. As a result, he's spending most of his time researching the murders, including interviewing the murderers. Profession... writer. Truman sees himself as a wry commentator of contemporary America. Relationship Status... involved with writer Jack Dunphy. Truman, however, has begun to develop a strange attachment to the murderer, Perry Smith. As he explains, "It's as if Perry and I grew up in the same house. And one day he stood up and went out the back door, while I went out the front." Challenge... writing the next great American novel. Truman sees this story as an opportunity to write his masterpiece, admitting, "Sometimes when I think of how good my book is going to be I can't breathe." Personality... ambitious and occasionally vain, but determined. Capote's invested in increasing literary and public reputation, and he's not shy when it comes to showing off his talents. Outside of the limelight, however, his kinder side comes out in interactions with Lee and Perry. 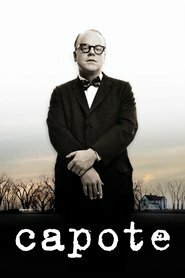 Truman Capote's popularity ranking on CharacTour is #1114 out of 5,000+ characters. See our top-ranked characters and read their profiles.